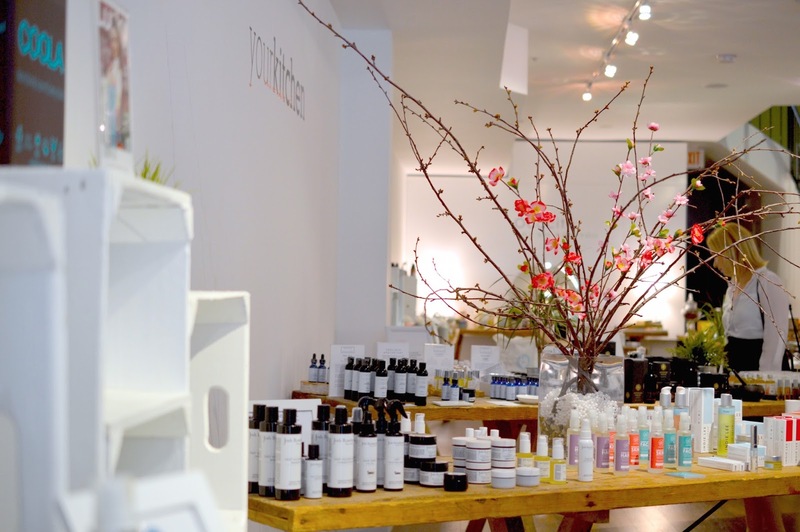 We actually first met up at The Detox Market, which is a beautiful cosmetics store right around King and Spadina. The store features "natural" skincare brands, and we went specifically to see a demonstration by Rose-Marie Swift, the owner of RMS Beauty. This brand is famous for their little pots of creams and powders that are formulated with many organic ingredients. We finished off the evening with a trip to the Toronto Popcorn Company. 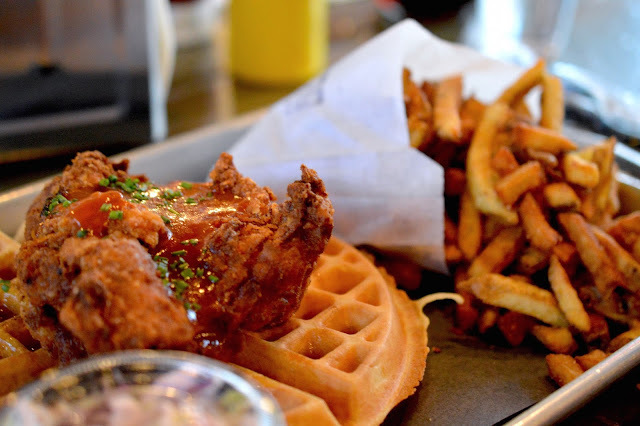 Hello, heaven. 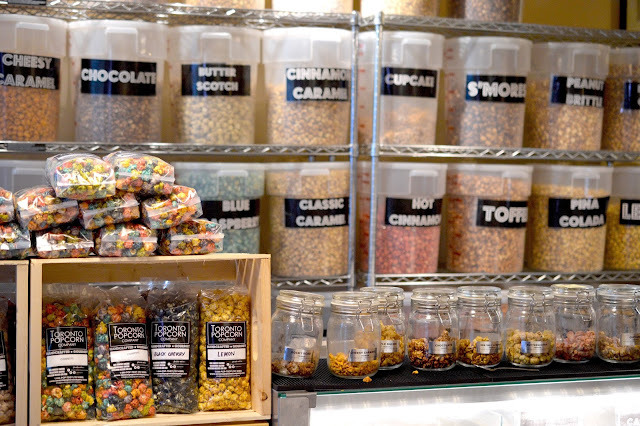 At Spadina and Baldwin you'll find this little snack store complete with every popcorn flavour imaginable. 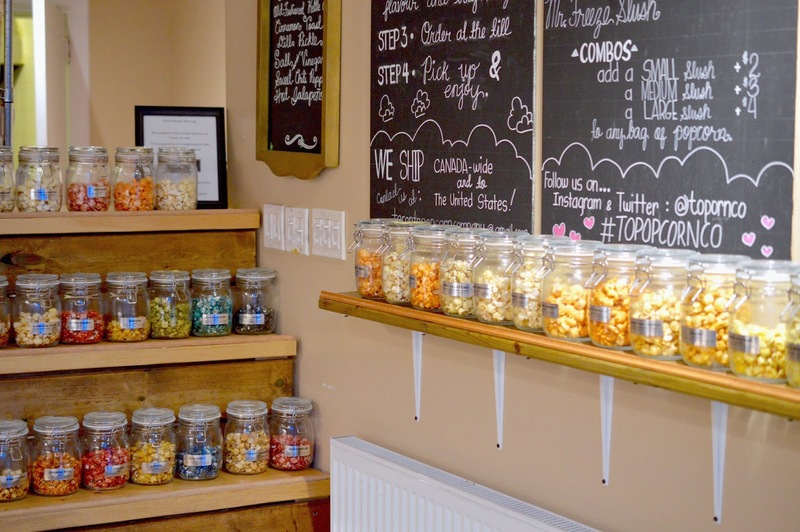 The small jars are samplers, and you are able to fill up bags with your favourites. The smallest bags start at only $4 and you can make orders online for delivery. See my beloved lemon & herbs bag in a recent Instagram post here. I can't wait to enjoy the last few days of summer outside and in the sunshine with family and friends. I've been getting a lot of use out of my favourite Zara romper, since it's the most perfect lightweight material featuring a patchwork of punchy prints. See you again soon, August.